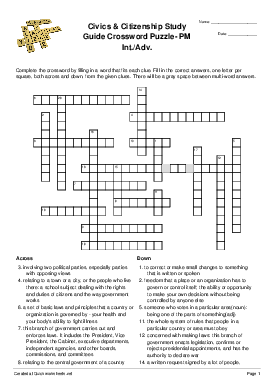 Complete the crossword by filling in a word that fits each clue. Fill in the correct answers, one letter per square, both across and down, from the given clues. There will be a gray space between multi-word answers.